Liberal Bohemian: Predictions for 2018! China the new Superpower? Wall Detroys the U.S. Film at Eleven. Predictions for 2018! China the new Superpower? Wall Detroys the U.S. Film at Eleven. Predictions for 2018. Well, there are a few. And where else better to start than that crazy old water gazer himself, Nostradamus. 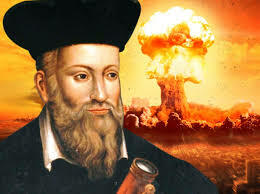 According to the London Express, Nostradamus only predicted the end of the world this year, sometime in May. Ouch. Why would they say that? China will become the world’s next “superpower,” taking over from the US, and “a new form of energy” will be discovered on Venus. Wow, can anyone deny that China is soon to knock the US out of first place in the Superpower rankings of the world? Just look at the crap Donald Trump and the Republicans are doing to ensure this: a 1.6 billion dollar wall on the south border to fulfill a right-wing nuts idea that it will somehow make the US safer(?) Does anyone in their right mind really believe this? That is money which could be used to improve our lives but funding infrastructural projects in the US, or my god, helping the millions of US citizens (including Puerto Rico) with medical care. My point being, obviously our current leaders have no clue on how to run a global economy and so they are creating this great vacuum for China to fill. And they will. So, no doubt this prediction is true. Now what was her other for 2018? Oh, yeah, the Venus thing. Well, yes, NASA and Russia are dong joint projects with Venus in their sites, and the full sunlight that Venus has definitely points to a new kind of solar energy, but, what if the energy she was talking about is spiritual? Could this not be a prediction for The Venus Project? 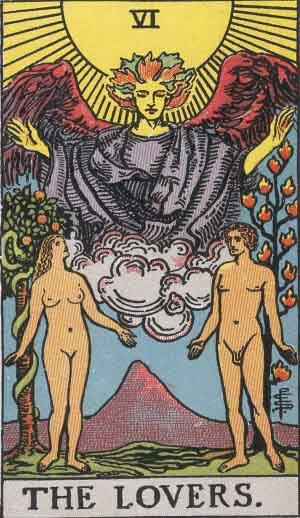 The 6th card of the Major Arcana is The Lovers. It symbolizes the love that unites all of humanity through integration of masculine and feminine polarities. On the good side this card indicates affections and desires on a high moral, aesthetic and physical plane; on the bad side, it suggests a propensity for unfulfilled desires, sentimentality and indecisiveness. 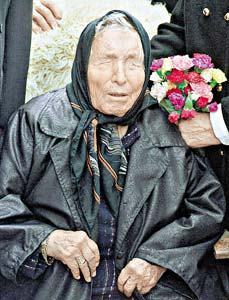 January 6 people must be careful of sacrificing themselves for love.